The Folk Choir: The Folk Choir starts on Feb 1 and new singers are welcome. The Folk Choir starts on Feb 1 and new singers are welcome. It's time to sing again! The long Summer folk festival season is drawing to a close (to be followed of course by the folk festivals of Autumn), and we are all longing for some delicious harmonies and good friends surrounding us. Come and sing some satisfying songs full of meaning and stories. 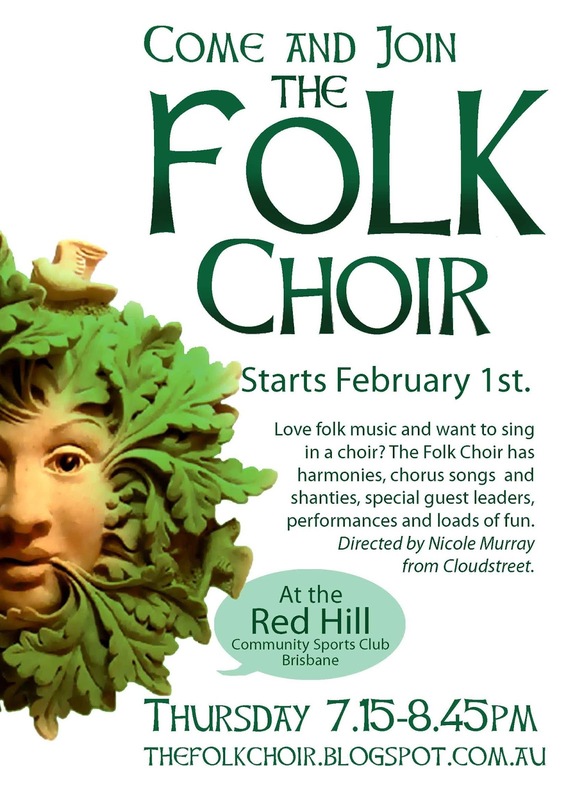 The Folk Choir, 1 February, 7.15 - 8.45pm, $15, or $104 for the 8-week term, at the Red Hill Community Sports Club, next door to the Broncos, 22 Fulcher Road, Red Hill.